The Amie Top is a knit top pattern that comes with 3 different necklines and 8 sleeve options. It is designed with both a slim fit or a regular easy fit which makes gives you both a fitting option as well as one that is easy to move around in! Depending on your choice of fabric, this can be a casual top or even a formal work top. You can finish the necklines with a regular neckband in the same fabric, ribbing or a simple clean boat neckline. This pattern is for Ladies sizes 00-20 and includes a tiled PDF for home printing on A4 or Letter size paper, or A0 size patterns for printing in a copy shop. The PDF patterns are layered which allows you to select and print only the size you want without getting confused by multiple size lines. 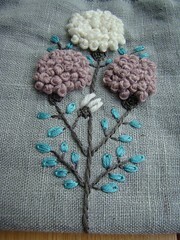 As usual, my patterns come with full color, step by step instructions, as well as a YouTube video for your reference. The first (excuse the lack of ironing! :P) was a 3/4 puff sleeve with boat sleeve, relax fit and with matching cuffs. The original sleeves is finished with a casing and elastic band, but I had these cuffs for some time and I thought hey this would work! The cuffs were pretty wide so it kind of made it wrist-length. This fabric is called glam drops and is by a company called Albstoffe from Germany. The cuffs are called “Cuff me – they are super cute and come in matching colors with their fabric! They have lots of really cute and cool designs that I would really like to get my hands on all of them! The other top I made is also using Euro knits and this time in a scoop neck, half sleeves and slim fit cutting. The slim fit cut has a slight negative ease so it’s not too skin tight but still comfortable enough to move around. Want to see more? 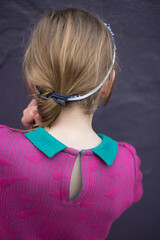 Get inspired by the photos taken by my testers for the Amie Top! Scoop neck with ruched sleeves made by Ye Xiuling. Boat neck with Ruched sleeves made by Celine Khoo. 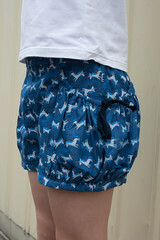 In conjunction with the pattern launch, there will be a launch offer of 20% off the original price of SGD$10. Offer valid for 1 week from now till 29th May 2018. Use the code AMIE20OFF at checkout to claim this offer. I hope you like it!